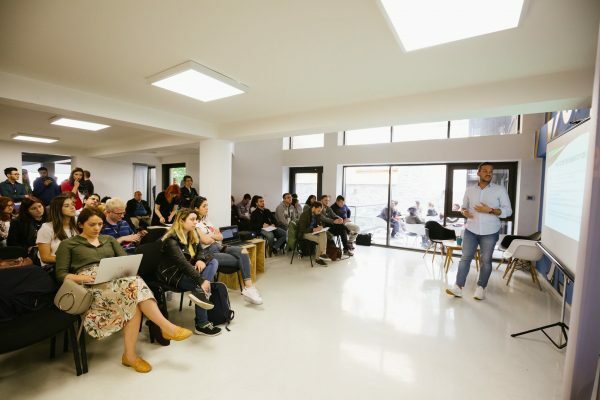 On the third and last day of POINT 7.0 conference, all participants had a chance to attend three very interesting workshops at Networks, a business center and a coworking community in the heart of Sarajevo. 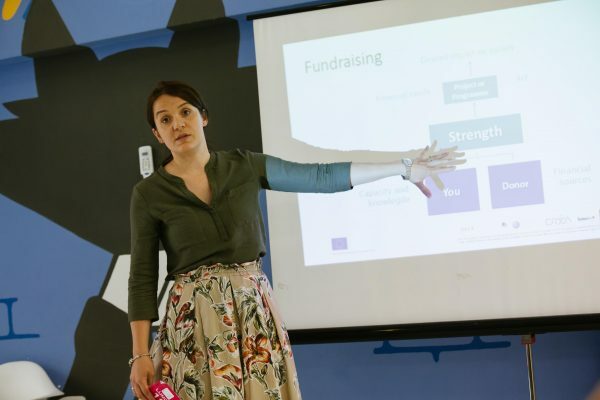 Action See (Accountability, Technology and Institutional Openness Network in the South East Europe) offered an intensive training on capacity building of CSOs through the six topics. 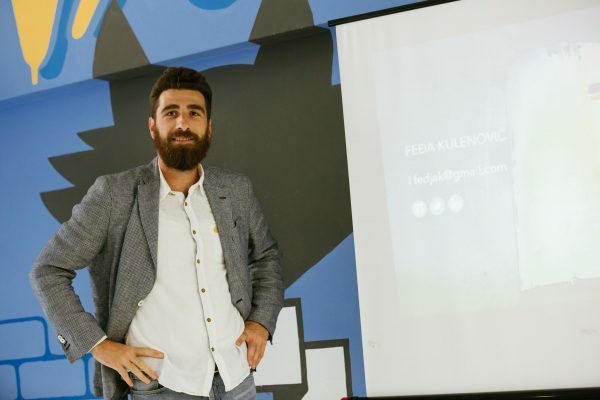 Feđa Kulenović, information and communication expert from Sarajevo, talked about strategic approach to social media and specifically presented how to create social media strategy as a communication sub strategy. 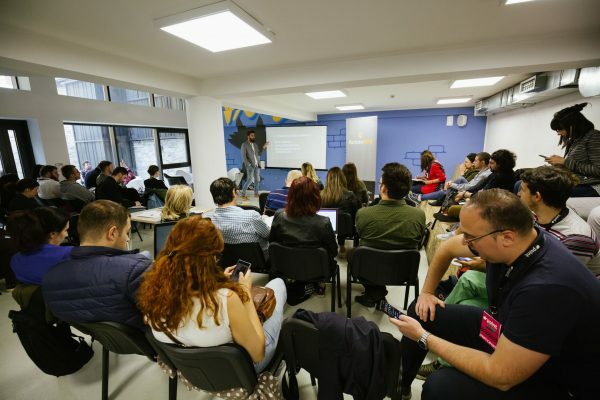 Social Media as the new way to communicate with target groups and how to change the language form of civil society actions was topic of training hosted by Rezar Balla, media and communication expert from Albania. Later this day Ivan Radojević from CRTA Serbia discussed free access to information of public importance but also talked about open data as effective tools for keeping governments accountable. How to support government to go digital by combining tech and youth was the workshop topic presented by Blerina Ramaj, project coordinator in Open Data Kosovo, and Filip Stojanovski from Metamorphosis Makedonia discussed with participants about Strategic use of social media under conditions of low media literacy. This training ended with the workshop named Challenges in Financial Planning hosted by Biljana Papović from CDT, Montenegro. She explained all main elements of financial management, including: fundraising, preparation of project budget, project implementation and reporting and financial planning. Participants were interested in the audit process, and discussed on the possibilities of financial impact of governments on the NGOs’ sustainability. Second workshop in Networks was hosted by Geza Tessenyi who presented concept of POP (Public opinion platform) and real-time democracy. 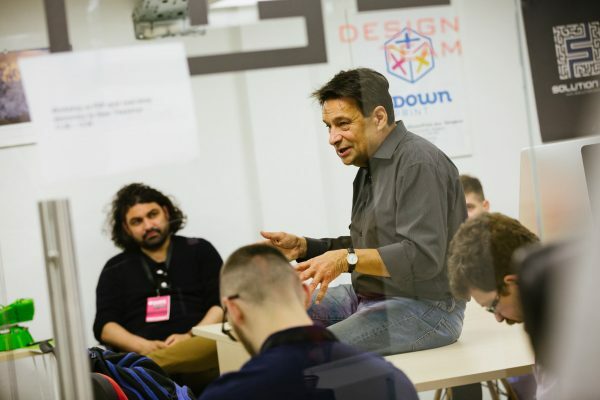 This workshop was an interactive continuation of the plenary POINT 7.0 sessions given by Geza Tessenyi on Real-time Democracy and POP (Public Opinion Platform) on Thursday and by Nicolas Blanchard on Random Sample Voting on Friday afternoon. The two subjects are closely connected so this workshop was aimed for everyone who was interested in practical solutions for improving democracy. Workshop hosted by Matt Stempeck was dedicated to building of open source civic tech tools. Through this workshop named “Make the Global Field Guide to Civic Technology”, Matt presented us some of 1,500 civic tech tools that are contributed by more than 2,000 people from 30 countries. All workshops gathered around 100 participants of POINT 7.0 conference.